Sam sung Hub unveiled last December by the Galaxy S Wi-Fi from Sam sung is poised to emerge in Europe. This is a variation of the Galaxy without chip GSM/3G S. In other words, the Galaxy S Wi-Fi is the equivalent of the iPod Touch. By removing part of his camera phone, Sam sung was able to increase the size of the battery. As a welcome change this version is similar Smart phone, multimedia player running Android 2.0. He should enjoy the upgrade to 2.3. Two versions will be available with the only difference being the diagonal of their screens. Thus, there will be LCD models 4 and 5 inches for the same resolution, namely the 800 x 480 pixels. Samsung leads the player with a processor of its own, running at 1 GHz. Two cameras, WiFi, Blue tooth and GPS are complementary configuration. 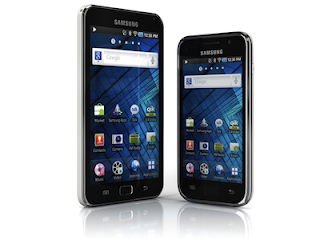 Side storage, Wi-Fi Galaxy S is available in 8 or 16 GB memory expandable via a micro SD slot.